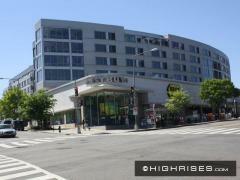 Elysium Logan is a new condo development located on peaceful Rhode Island Avenue within DC's vibrant 14th Street Historic District. Residents enjoy luxury amenities such as concierge, private parking, private elevators, package delivery, and laundry service. The prime location offers the best of both worlds with a quiet suburban street just steps aways from 14th Street's renowned restaurants, shopping, and entertainment. Have any comments or questions about Elysium Logan? Ask your question and/or share your thoughts about this Building.